If you are out-there and love to draw attention to your cool fashion look, this is the cap for you. It comes in a choice of three-tone colours and features a bold swirl design on either side of the crown that sweeps downwards and meets at the centre of the peak.The cap is manufactured from heavy brushed cotton, which washes well in cool water. For best care, don't use bleach and do not twist or wring, Allow to air dry and your cap will see you through season after season. This classic look sports a structured cut with a pre-curved peak. Colour choices are black, white and red; grey, white and black, navy, white and gold and navy, white and grey. 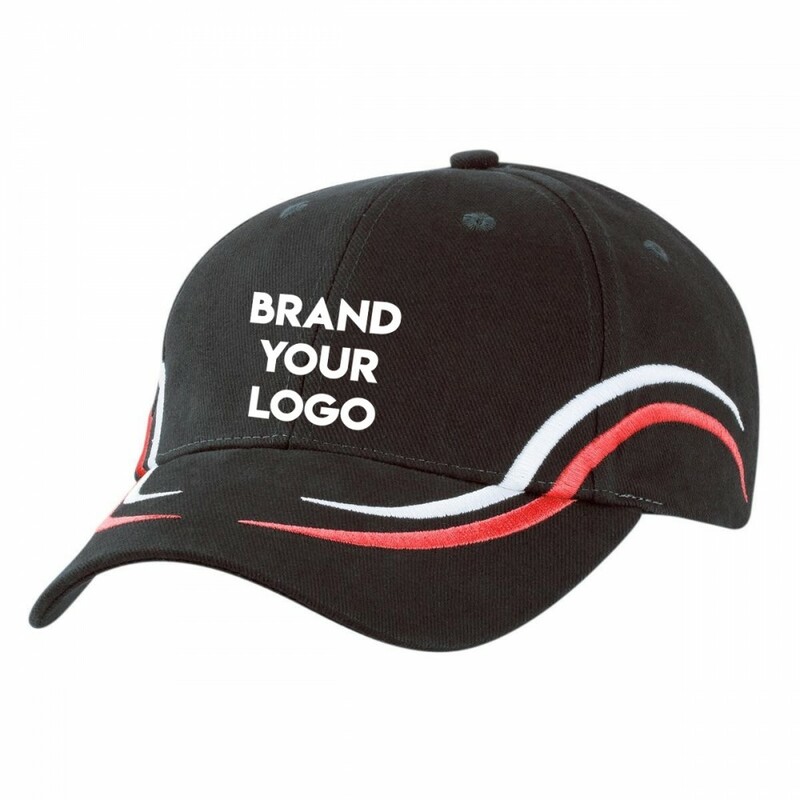 Add a professional look to a school team, corporate team or your sales representatives when they all wear matching caps embroidered with your unique logo and graphics. We will create a meaningful marketing campaign to best expose your brand.